End a perfect day in the perfect way with our stylish wedding thank you cards. 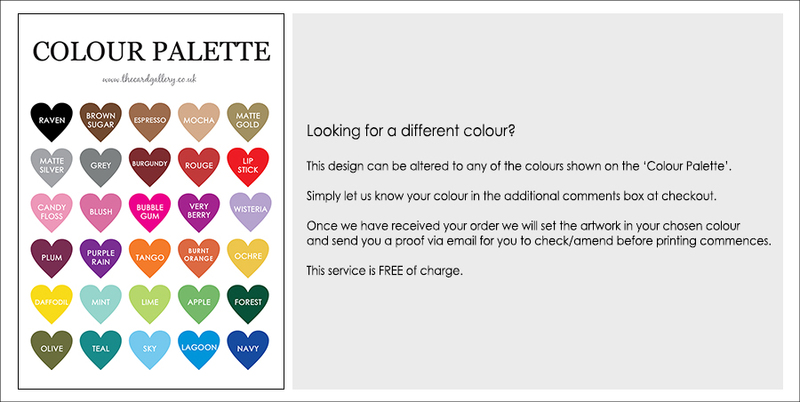 Available as a traditional open out card or postcard style card you are sure to find something to fit your budget. All of our thank your cards can be printed with your names on the front and a personal message inside, or can be supplied blank if you wish to handwrite a personal message of thanks to each and every guest. ‘Use your own photo’ cards are also available in a range of designs. Adding a photo of your wedding day makes your cards a real keepsake for your guests. Choose your favourite photo, tell us any wording you would like to add and we'll do the rest! We'll email you a proof to check before printing and when you're 100% happy with the proof after any amendments, we'll dispatch your thank you cards to you. Our dispatch times are fast and we offer a next working day delivery option if you need your cards in a rush.